Is high glycemic food causing your weight gain? (Week 15) Day 99/366 – Heritage – American heritage has always been carbohydrate addiction (Photo credit: Newbirth35)Do you know what may be contributing to your belly weight? Do you know if you may be insulin resistant? The current diet which is high in carbohydrates or glycemic index leads to a new phenomenon called insulin resitance or metabolic syndrome which in turn leads to belly fat accumulation, weight gain due to the anabolic actions of insulin, and increased health risk, according to Dr. Prab R. Tumpati, MD, a practicing obesity, sleep and internal medicine physician and founder of W8MD Medical Weight Loss Centers of America.What is glycemic index and glycemic load? Some studies suggest that sticking to foods with a low glycemic index may help prevent diabetes, cardiovascular disease and cancer. Some claim it helps with weight loss. The glycemic index and load concern carbohydrates, or carbs—one of the main types of nutrients in our diets. Carbs with a simple chemical structure are called sugars. Sugars are found naturally in foods like fruits, vegetables and milk products. They’re also added to many foods and drinks. 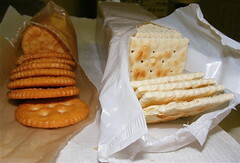 Complex carbs, like starches and fiber, are found in whole-grain breads and cereals, starchy vegetables and legumes. Your digestive system changes the carbs you eat into glucose, a type of sugar that your body uses for energy. Simple carbs are more quickly digested and absorbed than complex ones, so simple carbs can raise your blood glucose levels faster and higher. “The evidence seems to support the concept that the more complex carbohydrates will lead to better blood sugar control than the more simple sugars,” says Dr. Myrlene Staten, an NIH diabetes expert. Studies have shown that up to 70% of the United States population currently has some degree of Insulin Resistance. If you are insulin resistant, your basal insulin levels will be high. 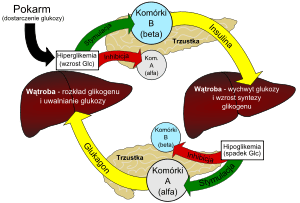 Since Insulin is the principal anabolic(body building) hormone in the body, people with insulin resistance tend to gain weight, especially in the belly and upper part of the body, one area not good for the body to have a lot of fat! As per research from Mayo Clinic and other places, belly fat produces harmful chemicals that raise body’s inflammation which in turn raises the risk of many health problems including cardiovascular disease. In fact, most human disease starts with inflammation including that of Cancers. No wonder, obese people have higher risk of overall disease risk including that of cancer. 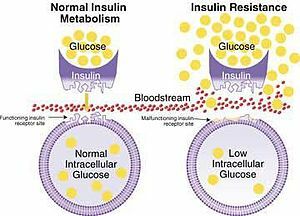 Watch this excellent Youtube video to understand insulin resistance. Posted on June 12, 2013, in Diet For Weight Loss, nyc weight loss, Weight loss, Weight Loss Articles, weight loss programs new york and tagged new york weight loss center, nyc weight loss, nyc weight loss doctors, philadelphia best weight loss doctor, Philadelphia times weight loss, Weight Loss Articles, weight loss programs Philadelphia, weight loss spa Philadelphia. Bookmark the permalink. 3 Comments.